Indeterminate. Regular leaf. 90 days. This variety comes from Hartman Germany. Russet brown fruits are juicy, and have a good balance of sweet and tart. Size range is from 9 to 18 ounces. Description Blaue Kasachstan Indeterminate. Regular leaf. 90 days. This variety comes from Hartman Germany. 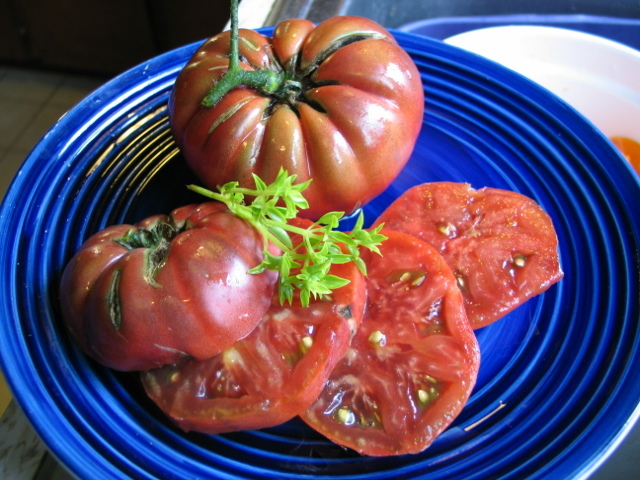 It is our pick for best dark tomato in a few years! Russet brown fruits are juicy, and have a good balance of sweet and tart. Size range is from 9 to 18 ounces.